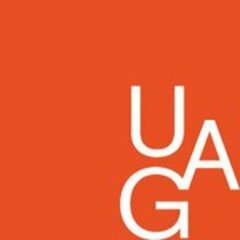 UAG / ROOM Gallery is committed to promoting an inter-generational dialogue between 60s/70s neo-avant-garde art and contemporary visual culture. Accordingly, our curatorial mission is to keep an eye on our modernist past while promoting the most innovative aesthetic and political debates of our post-modern present. From this vantage, the projects commissioned provoke intelligent debate on the subject of art in its most expansive poetic definition. What distinguishes our program is the unwavering commitment to publishing scholarly texts in catalogue/book form in order to disseminate research-based information into the community, providing a venue for the promotion of innovative discourse surrounding mixed media production today. UAG / ROOM Gallery provides several exhibition platforms for inter-generational and interdisciplinary dialogue. 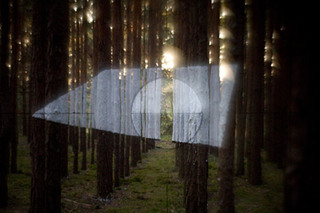 The Major Works of Art Series commissions original projects by canonical artists working today. The Emerging Artist Series features solo projects by a set of younger artists informed by the legacies showcased in the Major Works series. The Critical Aesthetics Program commissions new work by internationally renowned mid-career artists. Augmenting this inter-generational dialogue, UAG also produces larger thematic group exhibitions alternately showcasing historical and contemporary art and film projects. UAG / ROOM Gallery further promotes an active dialogue between UCI residents and the local and international art communities through colloquia, conferences, visiting artist lectures and theme-based films series, all of which are open to the public. As the UAG / ROOM Gallery continues to mature we stand committed to being an experimental exhibition space different from the current - but largely traditional - art biennial and film festival platforms.